We’re always down to amplify the voices of women and champion women’s rights on our platform, and this International Women’s Day, we’re doubling down on that mission by helping promote the 5th annual Women’s Voices Now online film festival. If you are not yet familiar, this event is focused on creating awareness about women’s rights, using the medium of film while also providing clear channels of action for audiences. Each year, films are selected from over 174 countries and are viewed by over 150,000 people online internationally. Female filmmakers compete for in-kind and cash prizes up to $10,000, media features and the opportunity to have their films added to the WVN Film Archive for global promotion and viewing. At a time in our culture when we see a scary regression of equal rights in America and elsewhere around the globe, the combination of showcasing important stories and issues online is certainly a powerful one, and underscores why filmmaking and storytelling is more vital than ever. Having wrapped up submissions in early February, the festival has now opened voting to audiences, which ends on April 8. Anyone with access to the internet and a valid email address can view and vote on this year’s selection of films for the Viewer’s Choice Award. 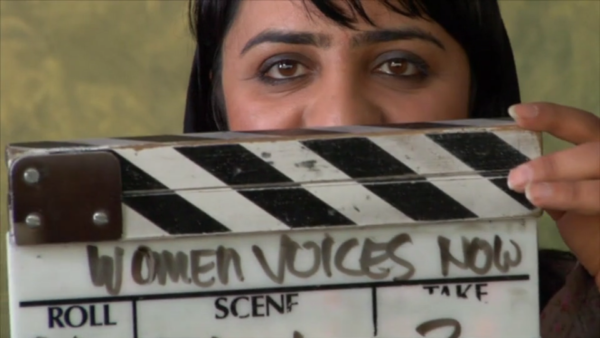 Dubbed the “Netflix of feminist films”, WVN sees filmmakers from countries such as US, Middle East, Central Asia and South Asia submitting content designed to foster activism among viewers. Through free and multilingual access online, Women’s Voices Now is the only U.S. organization implementing the digital film festival model of women’s rights activism on a global scale. “​On International Women’s Day we have the opportunity to draw the world’s attention to the artists, activists, and every day people united in the quest for a gender equal future. 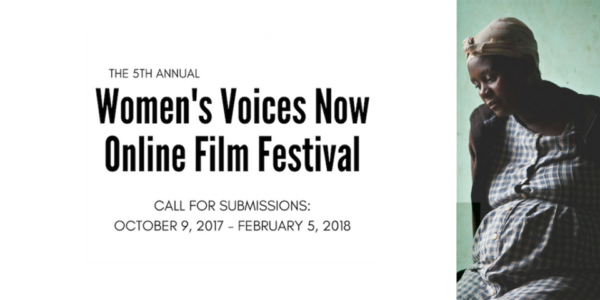 Participating in the Women’s Voices Now online film festival will mobilize another group of individuals to become part of the conversation and brainstorm ways to become active,” says WVN Executive Director Heidi Basch-Harold. This year’s festival title and theme, ​“​Exposed and Uncovered: The War on Women,”​ explores films from Myanmar to Uganda, Bilbao to Los Angeles, ​that highlight the common theme of needing to​ redefine and re-establish the relationships within and among women, and between men and women. Filmmakers can submit a number of formats including documentary feature, documentary short, narrative and animation films. Successful applicants also get access to resources that can help them secure global distribution for their work. “We believe that amplifying women’s voices—and those of the men who support women’s rights—is a guaranteed way to contribute to a more equitable and just world. For lasting change, women’s voices calling for full and free expression must be heard, their humanity must be recognized, and their ideas and contributions must be implemented,” says a description of the festival online, showing how this event fits into the larger battle for equality and women’s rights. Their long-term vision is to create an interconnected and mobilized women’s rights community, working together to improve the status of women worldwide. If you are looking for an important and creative cause to support this International Women’s Day, check out the submissions for the Women’s Voices Now festival and help promote stories and films that amplify women’s rights around the world.